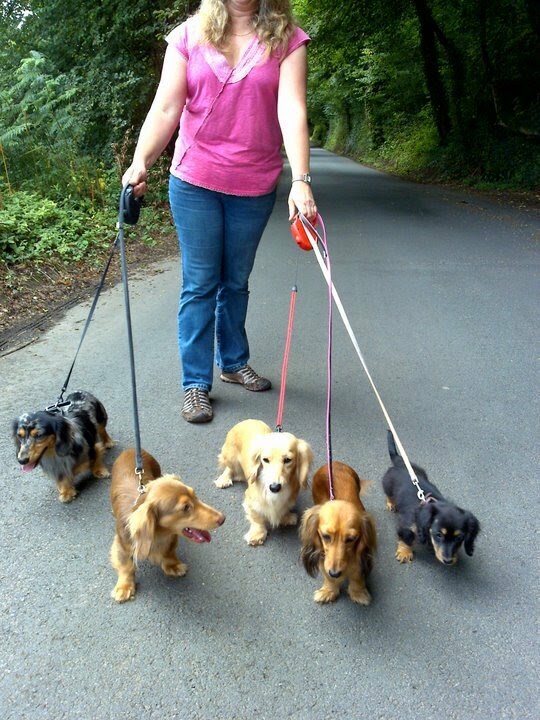 We are a family with lots of miniature longhaired Dachshunds, 1 cat, guinea pigs and 5 tortoises ............ phew! We sometimes have puppies available to good homes. Please look on the puppies available page. To see the latest news, please see our what's new page. Our dogs live indoors and are very much part of our family. All our dogs have been home reared with other dogs, children, cats, guinea pigs and tortoises! They are all well socialised, happy and confident and very very loved!